My Freedom and What It Means to me? Happy 4th of July! I am the first generation in my family to be born in America. It was a blessing and huge undertaking for my grandfather, my father and my mother to leave their native country to go to live in another land that was totally foreign without knowing anyone, language and customs, or how and where to live. 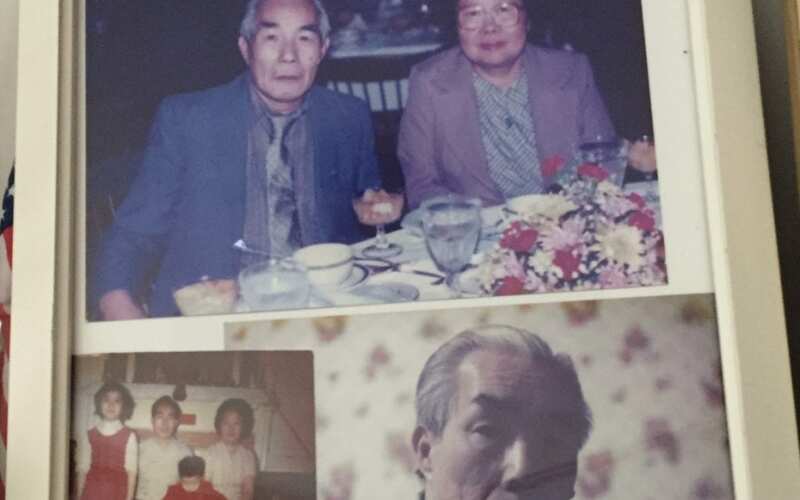 I think about some of the stories my mother has shared with me about my family in China, how they lived and survived during the Japanese invasion of China from 1937 to 1945. (Also known as the War of Resistance against Japan.) Like many families in China, the only way to escape the Japanese occupation was to run and hide. It is still very painful for my mother to talk about the years of running, hiding, starvation, seeing needless death along with seeing loved ones die in front of her eyes. She saw people killed as though they were nothing more than insects being crushed under a boot. During those tough years, my mother was a young girl at the age of 8. She spent the next 9 years of her life running with her immediate and extended family of 30 people, living in caves hiding from the gunfire, killing and brutalizing of her beloved country. One of the Japanese’s main tactics of occupation was to cut off China’s food sources. For years my mother and her family survived on an ounce of food daily, which was comprised of one cup of rice cooked with a gallon of water, known as congee. This was to be divided among 30 people. Even to this day, my mother doesn’t like to eat congee. It reminds her too much of her hardship during the war. The war finally ended in 1945, leaving many families displaced, missing or killed. My mother’s family had to piece back whatever they could find. It took years to rebuild their country, and start to feel safe again. Back in those years it was not unusual for women to be married after an introductory meeting. My mother was married at the age of 18 after meeting my father just once. She couldn’t protest, nor was her opinion sought or was she given a choice. Back in those years, women were considered a commodity, and there were no choices or voices to be heard. My father was on a visa at the time that wouldn’t allow him to stay in China for very long after the wedding. He went back to America and started the process to sponsor my mother to come to America. The process took 4 years before my mother was allowed access. How my father made his way to America? In 1932 my grandmother sent my father, then 14 years old, was sent to America during the US Great Depression to join his father. Due to economic scarcity in China, it was common practice for men to leave their families behind in China to find work in other countries. The majority of these men found their way to South America, Africa and the USA. The ones that came to USA participated in the gold rush during the 1840’s, and when those days were over, they looked for work with the Transcontinental Railroad in the 1880’s. Whatever money they could afford to give up was sent back home to support their families. Life for my father wasn’t easy in America. He worked very hard. He had to learn a trade and the only job he could find was working at a cousins’ laundry. At the same time, he learned to speak and write English and even attended high school for a short time. Within two years of his arrival, my grandfather passed away due to complication of diabetes. My father became an adult at the age of 16 after his father’s passing. Reluctantly my mother left her homeland of China in 1953 to join my father who had just opened a laundry business. Soon after, they started a family. Today, my mother has lived in America for almost 65 years, and is living the “American Dream”. She has a comfortable home, enough to eat, and her prized possessions are her children, running water, working kitchen and running toilet in her home. My dad passed in 1983. My mom still misses him today.